SAA is sending 1 male and 1 female athlete to represent Singapore at the 13th IAAF World Championships (Pending IAAF confirmation) in Athletics, Daegu, Korea, held between August 27th – September 4th. The two Singapore athlete sent will be based on current form, pending the outcome of the two best performer (1 male and 1 female) at the upcoming Singapore U23 / Open Championship (25 – 26th June). The Singapore U23 / Open Championship is a “Singaporean-only” event, open to all citizens, 13-years-old & above. Are you game enough for the challenge? Please register yourself for Singapore U23 / Open C’ship, and earn the competition of your life to meet and compete against world best athletes in Daegu. The Championship also offers top cash price for 1 male and 1 female best performer. 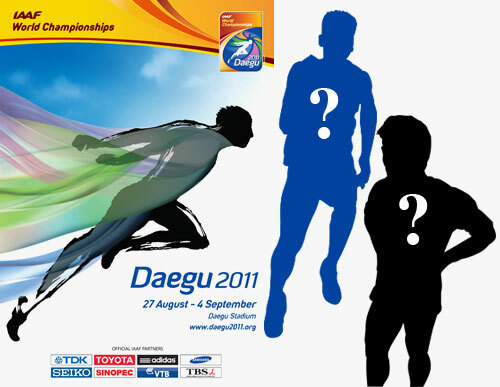 Note: IAAF 2011 scoring points will be used to calculate the best performer at the Singapore U23 / Open C’ship.